During the summer career consultants go out to visit employers. It ensures that we keep up to date with what they’re looking for, so that we can help you with your decision making and applications. I’ve been to Farrer & Co, Norton Rose Fulbright, Hogan Lovells, Shearman & Sterling, Mayer Brown and SGH Martineau. So what’ve I learnt? Firms mean what they say in terms of what they are looking for. You need to be applying on the back of a good 2.1 average with a 2.1 in contract and (probably) tort. There’s not much wriggle room on this. If you’re very close indeed and can point to significant mitigating circumstances and/or have a host of other interesting things on your CV then you might still be considered. So, what if you got a 2.2 in the first year? It doesn’t count to your degree, so does it count for this? The answer is yes! You’re going to find it hard to get a vac scheme. Ask yourself why a firm should consider you when it has so many applications, (typically a minimum of 10 and in some cases up to 100 per vacancy). Applying a first cut on the basis of first year marks makes perfect sense. Is there a road back? Yes! There are more vacancies for training contracts than there are for vac schemes. You don’t have to have done a vac scheme to get a training contract. You might want to delay your applications for a training contract in a top City firm until after you have nailed stellar second year results. Do other things to persuade firms of your commitment to a legal career, be visible at events on campus, look at experience days and think about trying to get summer vac experience in a smaller firm or get a business-related internship. If this is at an organisation likely to be a client of a law firm – that’s even better. Then what about the application? It must be correct. Your spelling and grammar must be spot on and you need to showcase skills which the firms are looking for. You’ll need commercial awareness but many other things as well – team working skills, analytical skills, good organisation and time management, interpersonal and verbal and written communication skills, powers of persuasion, marketing and sales abilities and self-awareness. Fortunately there are lots of ways in which you can demonstrate all of this. Firms like you to have real customer-facing experience; you get that working in bars and shops or even through involvement in Warwick societies. 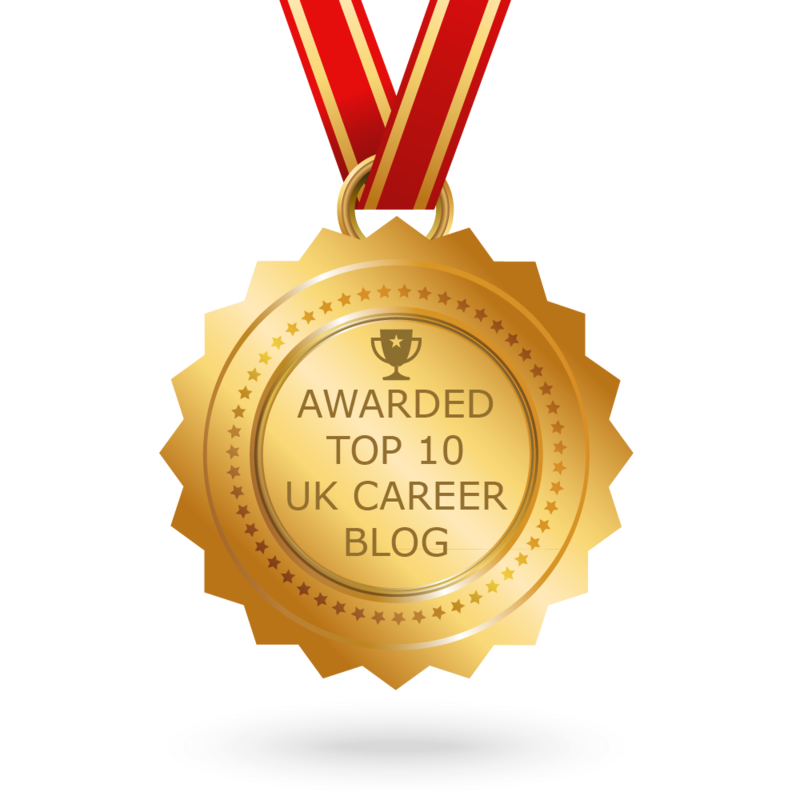 You need to be able to articulate the skills you are learning and don’t forget that my careers colleagues and I can help with that. Commercial awareness? Don’t worry about it! If you’ve collected the skills I’ve been talking about and are really passionate about a legal career and have done your research, then you’ll have developed commercial awareness as well. It only means understanding both the business sector in which you operate and the internal and external challenges for your client’s business. Once you can nuance opinions, taking all this into account, then you’ll be well on your way to demonstrating commercial awareness. If you want to work in the City then remember that part of this awareness and understanding will be about international politics. How will the UK be affected if we decide to leave the EU? Is the Euro a sustainable currency? What will be the impact of a ‘yes’ vote in the Scottish referendum? If you want to work in the City these questions probably interest you anyway and you’ll be able to express an informed opinion. The future of the profession? So what else have I learnt? Listening to partners discussing the future of the profession has been fascinating. I think we’re moving on from Magic and Silver Circle towards a global elite of law firms, see this article in The Lawyer. The on-going rise of the “White Shoe” firms in the UK and the impact of mergers is changing the market. 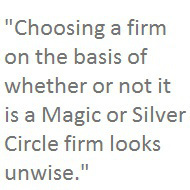 Choosing a firm on the basis of whether or not it is a Magic or Silver Circle firm looks unwise. Indeed partners say that talking about it at interview might persuade them that your understanding of the market is not all it could be! The legal profession remains challenged by downward pressure on fees. We know that firms have looked to the recruitment of paralegals to address this and that some of the paralegals are based offshore or at least outside the City of London. Other strategies are for firms to contract ad-hoc work to their former employees, and some City firms are paring down their services to ensure that they handle only the most profitable work. Could all this go further? Might the future be one where clients put together multi-firm legal teams on a transactional basis, perhaps using brokers to assist? It’s an intriguing idea and one I’ve heard discussed. Will this really work, or is the firm/client relationship still of key importance? Will a team from one firm always be able to outperform a team made up of leading lawyers from a number of different firms? What do you think? Don’t be opinionated but do take the time to think about the future of the profession you want to enter and be able to articulate your views. Tags: Applications, Commercial awareness, Competencies, Employers, Finalists, Graduate Recruiters. Bookmark the permalink. Previous post ← Fix me up with my perfect job!